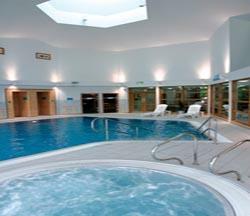 Future Fitness at Cedar Court Hotel01924 523235work Leisure CentreWelcome to Future Fitness Wakefield. Our state of the art health club offers an excellent range of leisure facilities and is open to hotel residents and members alike. Whether you are a long time gym enthusiast or a complete novice Future Fitness can offer you and your family personalised fitness courses and a wide range of fun and stimulating classes to suit your lifestyle and level of ability. If you are looking for something a little more relaxing, we have a calm and more tranquil side to our facility. Our hot spa bath along with Turkish steam room and sauna allows you to sooth away those everyday aches and pains. Our friendly fitness team are always on hand to help you to achieve the best personal health and fitness programme to suit you. You can expect a great new experience that will see you facing new challenges, meeting new people and improving your overall lifestyle. Welcome to Future Fitness Wakefield. Our state of the art health club offers an excellent range of leisure facilities and is open to hotel residents and members alike. Whether you are a long time gym enthusiast or a complete novice Future Fitness can offer you and your family personalised fitness courses and a wide range of fun and stimulating classes to suit your lifestyle and level of ability.